Itching to travel? Well scratch it! Berlin, Belfast, Brisbane – check. Cuba, Canada, China – check. The Maldives, the Seychelles and the Mediterranean coast… I haven’t even begun to scratch the surface! The My Scratch Map is the perfect way to show off your travel destinations without using drawing pins. 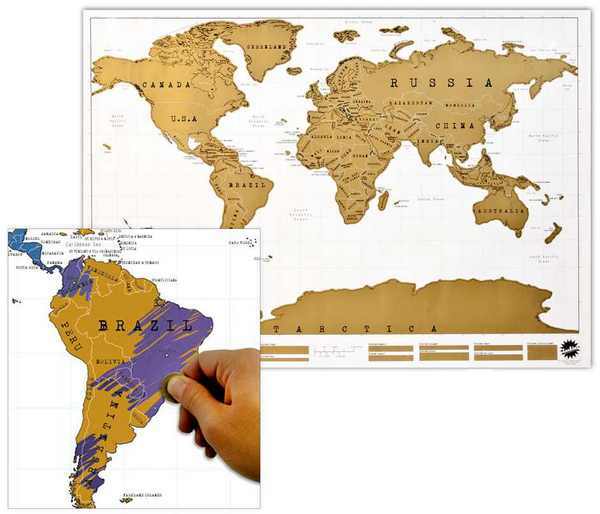 At first glance, My Scratch Map looks like an ordinary world map but when you scratch away the gold foil top layer, a colourful map and geographic details are revealed.